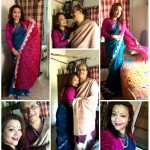 100sareepact | FLY HIGH, SKY DHAKAI !!! FLY HIGH, SKY DHAKAI !!! 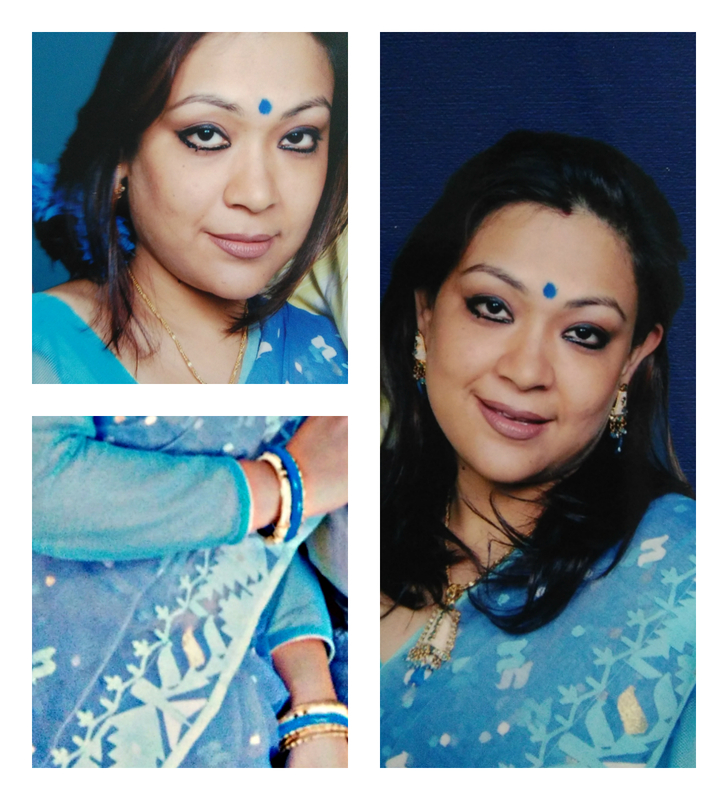 ‘Dhakai’ the word originates from the Dhaka city, capital of Bangladesh, where this type of saree is usually made. Originally the hand technique of weaving was called Jamdani (Bengali: জামদানি), while the weave was called Dhakai. It is one of the finest muslin textiles of Bengal, produced in Dhaka, Bangladesh for centuries. The sensitive weavers and artisans of this art form took inspirations for their weave designs from the life around them, from simple things such as a broken comb to things in the nature such as plants, the earth, the stars or the solar system. The special blue/pearl jewellery was also a part for this entire look.